Bonebakker Jeweller has been an established as a luxury shopping institution in Amsterdam for over two centuries. As early as the nineteenth century the firm received numerous prestigious commissions culminating in a new crown for King Willem II in 1840, still in use these days by the Dutch royal family. While roots will remain imbedded deep in the age-old tradition of selling diamonds and manufacturing high-end jewellery, world renowned brands like Piaget and Pasquale Bruni as well as haute couture pieces from upcoming designers Casato, dinh van and Maxim Voznesensky are now the new focus for Holland’s oldest and most respected jewellery house. Bonebakker has created an attractive, sophisticated venue for connoisseurs and lovers of jewellery within the luxurious atmosphere of the Conservatorium hotel. Don’t miss the real The People of The Labyrinths experience in the one-and-only POTL-shop in the centre of Amsterdam. Only a few steps away from state-of-the art hotels and the best museums in town, you’ll enter the POTL-world: to discover the latest collections of exceptional fashion and distinctive interior design; to take in the whole range of the POTL-collection full of amazing colours, spectacular fashion & interior designs or unique artefact pieces; to enjoy personal advice on POTL fashion and interior design and to spot special finds from the POTL-archive. La Casa del Habano, foremost supplier of handmade Cuban cigars, is a dream for anyone who enjoys a good Cohiba, Montecristo or Romeo y Julieta. Real Habano aficionados from around the world. Visit La Casa del Habano to buy and taste their preferred cigar. Architect Maurice Grothausen created the interior with glass, steel and wood for this store, resulting in a serene open space which is fully air-conditioned as a ‘walk-in humidor’. It has the largest selection of Cuban cigars in The Netherlands, including a complete range of exclusive Habanos and limited editions, stocked in meter-high Spanish cedar shelves. A world of exclusive beauty. Since it was founded in 2000, Skins Cosmetics has carved out a special niche in the Dutch beauty market with its exquisite portfolio of world-renowned brands exclusive to The Netherlands, including Diptyque, Aesop, Creed and Laura Mercier. Whether it involves skincare, perfumes or make-up, all products have one thing in common: they are made with an unmistakable and contagious feeling of passion. Their staff are fully trained to give personal and exclusive advice. A make-up artist is always available, either for quick touch-ups or true makeovers. The name of this hair salon says it all. It is the soul, the creativity and the love they put into their work; that is what the salon stands for. The interior of the salon sets the tone for a luxurious experience, with its warm, welcoming and distinctive appearance. To complete it all, the friendly, personal and attentive service coming from highly skilled and talented staff makes it a one-of-a-kind experience. 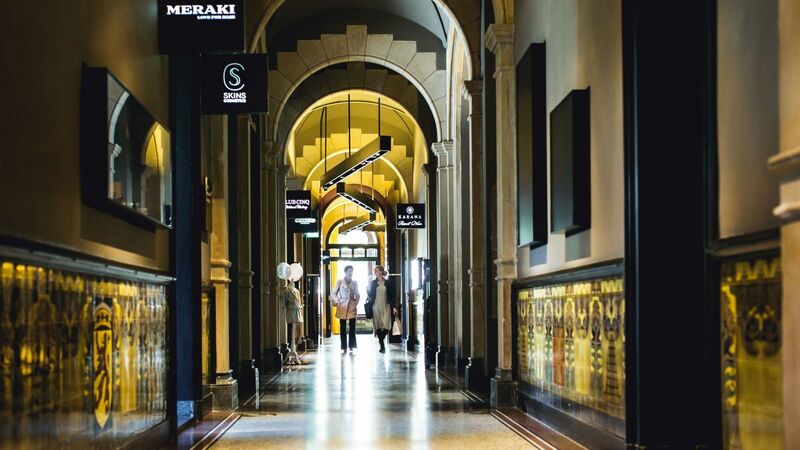 Meraki is accessible via the Skins Cosmetics shop located in the luxury shopping destination, Van Baerle Shopping Gallery, in Amsterdam. KathelijnRuys-Quist in Switzerland in 2010 with stylish, high quality and comfortable children’s clothing and shoes. CLUB CINQ has a classy modern soul and an unmistakable signature. Schaap en Citroen has been active for more than 130 years, since 1888, as an authorized dealer for many leading Swiss watch brands. The knowledge of mechanical movements, sensational complications and special models covers the entire spectrum of watches. 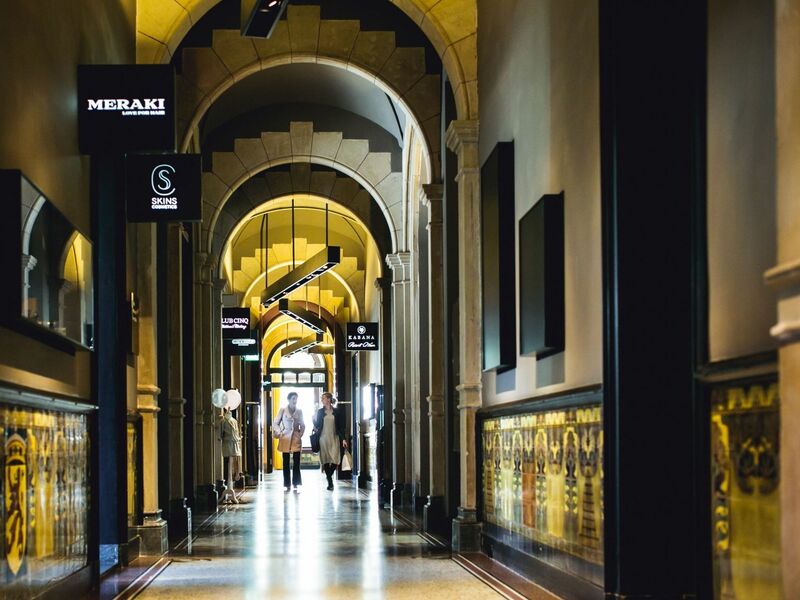 With this knowledge and the increasing demand for secondhand watches, Schaap en Citroen has opened a Vintage Watches Boutique at the Conservatorium hotel. Nowadays, Schaap en Citroen has 12 stores in the Netherlands, including: Amsterdam, Den Bosch, The Hague, Eindhoven, Groningen, Haarlem, Rotterdam, Maastricht and Utrecht. Schaap en Citroen focuses on the future without losing sight of its traditional values. On Mondays and Sundays, we would like to refer you to our stores at the Pieter Cornelis Hooftstraat around the corner: Schaap en Citroen Amsterdam, IWC Amsterdam Boutique, our Rolex and Patek Philippe Espace, Hublot Amsterdam Boutique and our Schaap en Citroen Diamonds Boutique.